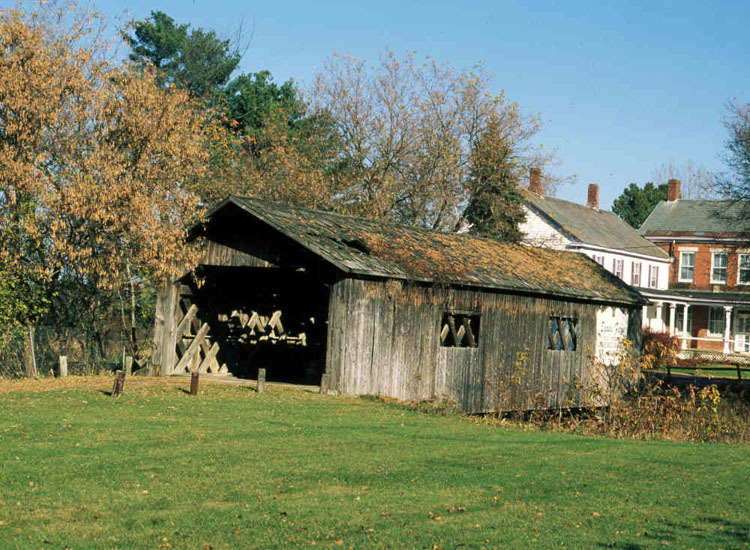 Justin Miller's bridge came to the Spade Farm from Lewis Creek in 1958, seven years after the Museum Bridge came to Shelburne. It served as an attraction for a popular resturaunt that once did business here. Bridge historian Richard Sanders Allen dated this bridge circa 1850.